r.stahl added inline comments to D46421: [analyzer][CrossTU] Extend CTU to VarDecls with initializer. r.stahl updated the diff for D46421: [analyzer][CrossTU] Extend CTU to VarDecls with initializer. r.stahl abandoned D46940: [ASTImporter] make sure that ACtx::getParents still works. r.stahl added a comment to D46421: [analyzer][CrossTU] Extend CTU to VarDecls with initializer. My last set of comments are also unresolved. Most of them are minor nits, but I would love to get rid of the code duplication between ClangExtDefMapGen and the Clang Static Analyzer regarding when do we consider a variable worth to import. Otherwise the patch looks good to me. r.stahl added inline comments to D57906: [CTU] Do not allow different CPP dialects in CTU. Thanks for the comments! All good points. Nice idea with the constructor, but that can probably happen in a follow up patch. r.stahl committed rC350852: [analyzer][CrossTU][NFC] Generalize to external definitions instead of external…. r.stahl committed rL350852: [analyzer][CrossTU][NFC] Generalize to external definitions instead of external…. r.stahl closed D56441: [analyzer][CrossTU][NFC] Generalize to external definitions instead of external functions. r.stahl updated the diff for D56441: [analyzer][CrossTU][NFC] Generalize to external definitions instead of external functions. r.stahl added a comment to D56441: [analyzer][CrossTU][NFC] Generalize to external definitions instead of external functions. Thanks for the quick response! Will wait a couple days to see if someone else has something to add. r.stahl created D56441: [analyzer][CrossTU][NFC] Generalize to external definitions instead of external functions. r.stahl added a comment to D55701: [analyzer] Pass the correct loc Expr from VisitIncDecOp to evalStore. I tried adding isGLValue to evalStore and the test suite didn't complain. For evalLoad (on BoundEx) it failed in pretty much every test. Should the evalStore assert also go into trunk? r.stahl committed rL350528: [analyzer] Pass the correct loc Expr from VisitIncDecOp to evalStore. r.stahl committed rC350528: [analyzer] Pass the correct loc Expr from VisitIncDecOp to evalStore. r.stahl closed D55701: [analyzer] Pass the correct loc Expr from VisitIncDecOp to evalStore. r.stahl updated the diff for D55701: [analyzer] Pass the correct loc Expr from VisitIncDecOp to evalStore. Please let me know if there is anything else that should be addressed. r.stahl created D55701: [analyzer] Pass the correct loc Expr from VisitIncDecOp to evalStore. r.stahl added a comment to D46940: [ASTImporter] make sure that ACtx::getParents still works. @rsmith Yes, this should generally better be handled outside of the ASTContext. That would be out of scope of this patch. Is it fine to proceed with this one for now? r.stahl committed rC336527: [ASTImporter] fix test failure corrected by fixed func end locs. r.stahl committed rL336527: [ASTImporter] fix test failure corrected by fixed func end locs. r.stahl committed rL336523: [ASTImporter] import FunctionDecl end locations. 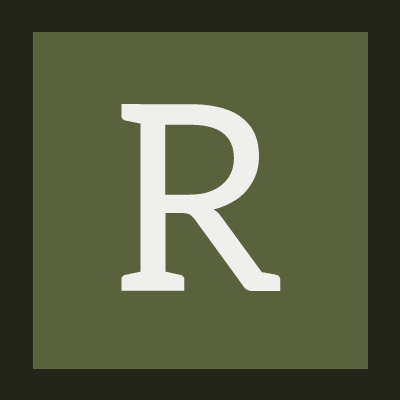 r.stahl committed rC336523: [ASTImporter] import FunctionDecl end locations. r.stahl closed D48941: [ASTImporter] import FunctionDecl end locations. r.stahl updated the diff for D48941: [ASTImporter] import FunctionDecl end locations. Alright, but then I would suggest to pass an invalid loc to the constructors instead to make it more explicit and save a map lookup in the import function. r.stahl added a comment to D48941: [ASTImporter] import FunctionDecl end locations. r.stahl created D48941: [ASTImporter] import FunctionDecl end locations. r.stahl committed rL336275: [analyzer][ctu] fix unsortable diagnostics. r.stahl committed rC336275: [analyzer][ctu] fix unsortable diagnostics. r.stahl closed D48474: [analyzer][ctu] fix unsortable diagnostics. r.stahl committed rL336269: [ASTImporter] import macro source locations. r.stahl committed rC336269: [ASTImporter] import macro source locations. r.stahl closed D47698: [ASTImporter] import macro source locations. @rsmith do you have a chance to take a look or assign someone else? r.stahl added inline comments to D47698: [ASTImporter] import macro source locations. r.stahl updated the diff for D47698: [ASTImporter] import macro source locations. r.stahl added a comment to D47698: [ASTImporter] import macro source locations. This code is live when reading pchs, correct? Does this have any measurable perf impact on deserializing pchs for, say, Cocoa.h or Windows.h? r.stahl added a comment to D48474: [analyzer][ctu] fix unsortable diagnostics. A more correct fix would create only one unique diagnostic for both cases. Thank you for the report, I could reproduce this after modifying the null dereference checker. My fear of using file IDs is that I don't know whether they are stable. So in subsequent runs, different paths might be chosen by the analyzer and this could be confusing to the user. I will think about a workaround that both stable and solves this assertion. I see two possible ways to do the proper fix. One is to check explicitly for this case when the same function appears in multiple translation units. A better approach would be to have the ASTImporter handle this case. I think the proper fix is better addressed in a separate patch. r.stahl created D48474: [analyzer][ctu] fix unsortable diagnostics. Sorry for the limited activity. Unfortunately, I have very little time reviewing patches lately. The split-token case should be covered by this, because it takes the correct TokenLen and the isTokenRange flag. Other than that the split-token ExpansionInfo is indistinguishable. r.stahl created D47698: [ASTImporter] import macro source locations. r.stahl committed rL333417: [analyzer] const init: handle non-explicit cases more accurately. r.stahl committed rC333417: [analyzer] const init: handle non-explicit cases more accurately. r.stahl closed D46823: [analyzer] const init: handle non-explicit cases more accurately. r.stahl committed rC333396: Testing commit access with whitespace change.. Testing commit access with whitespace change. r.stahl committed rL333396: Testing commit access with whitespace change..
r.stahl added inline comments to D47450: [ASTImporter] Use InjectedClassNameType at import of templated record..
r.stahl updated the diff for D46823: [analyzer] const init: handle non-explicit cases more accurately. r.stahl accepted D47450: [ASTImporter] Use InjectedClassNameType at import of templated record.. I'm not really too confident to approve changes yet, but with a second opinion it should be fine. r.stahl added inline comments to D46940: [ASTImporter] make sure that ACtx::getParents still works. r.stahl updated the diff for D46940: [ASTImporter] make sure that ACtx::getParents still works. r.stahl created D46940: [ASTImporter] make sure that ACtx::getParents still works. r.stahl added inline comments to D46823: [analyzer] const init: handle non-explicit cases more accurately. I looked through the original patches and found quite a few more occurrences of "function map" and renamed them - including the tool "clang-func-mapping". There is one comment "by using the 'clang-extdef-mapping' packaged with Xcode (on OS X)". Is this implicit from the install targets that the tool name changed or do I have to inform someone? r.stahl added a comment to D45774: [analyzer] cover more cases where a Loc can be bound to constants. Should we skip the initializer binding for local variables (and fields/elements of local variables) entirely? Cause we can load from them anyway. And keeping the Store small might be good for performance. r.stahl created D46823: [analyzer] const init: handle non-explicit cases more accurately. r.stahl created D46633: [analyzer] add range check for InitList lookup. r.stahl updated the diff for D46115: [ASTImporter] properly import SrcLoc of Attr. Didn't see that overload, thanks! r.stahl added inline comments to D46115: [ASTImporter] properly import SrcLoc of Attr. Tests and doc fixes pending. First I'm interested in your thoughts to this change. r.stahl created D46421: [analyzer][CrossTU] Extend CTU to VarDecls with initializer. r.stahl added inline comments to D45774: [analyzer] cover more cases where a Loc can be bound to constants. r.stahl updated the diff for D45774: [analyzer] cover more cases where a Loc can be bound to constants. r.stahl added a comment to D46115: [ASTImporter] properly import SrcLoc of Attr. Maybe this is a user error of CrossTU, but it seemed to import a FuncDecl with attributes, causing the imported FuncDecl to have all those attributes twice. That's why I thought merging would maybe make sense. However I did not encounter any issue with the duplicate attributes. Only the wrong source locations produced odd crashes. r.stahl added a comment to D26054: Use `getFileLoc()` instead of `getSpellingLoc()` in the ASTImporter. It puts everything at the start of the marco expansion. I encountered an issue caused by this change. r.stahl created D46115: [ASTImporter] properly import SrcLoc of Attr. CXXDynamicCastExpr: I don't think evalCast would handle this correctly, does it? CastKinds for floating point: Floats cannot yet be handled by the analyzer, right? r.stahl created D45774: [analyzer] cover more cases where a Loc can be bound to constants. r.stahl updated the diff for D45564: [analyzer] Fix null deref in AnyFunctionCall::getRuntimeDefinition. r.stahl added a comment to D45564: [analyzer] Fix null deref in AnyFunctionCall::getRuntimeDefinition. r.stahl created D45564: [analyzer] Fix null deref in AnyFunctionCall::getRuntimeDefinition. r.stahl added inline comments to D38943: [ASTImporter] import SubStmt of CaseStmt. r.stahl accepted D38842: [CrossTU] Fix handling of Cross Translation Unit directory path. I'm gonna go ahead and approve this now, because I reported the issue. Note that I'm not a regular contributor, yet! r.stahl added a comment to D38943: [ASTImporter] import SubStmt of CaseStmt. If all is good, I will need someone to commit this for me please. r.stahl updated the diff for D38943: [ASTImporter] import SubStmt of CaseStmt. Thanks for the fast response. See inline comment. r.stahl created D38943: [ASTImporter] import SubStmt of CaseStmt. r.stahl added a comment to D37478: [analyzer] Implement pointer arithmetic on constants. Since I do not have commit access, it would be nice if someone committed this for me. Thanks! r.stahl updated the diff for D37478: [analyzer] Implement pointer arithmetic on constants. addressed review comments. updated summary. r.stahl added a comment to D34512: Add preliminary Cross Translation Unit support library. r.stahl added a comment to D30691: [analyzer] Support for naive cross translational unit analysis. In a similar case, static inline functions are an issue.